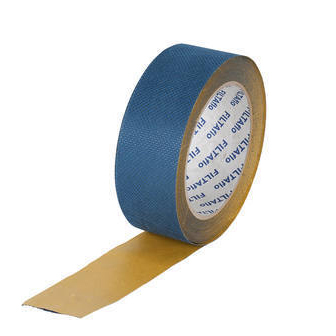 Breather tape with a fabric membrane to allow free movement of air within the Corotherm multiwall sheet structure. Prevents damage due to thermal expansion whilst minimising condensation and preventing dust or insects entering the sheet. Supplied in 10m rolls. Apply breather tape to the bottom end of the Corotherm multiwall polycarbonate glazing sheet to minimise condensation and prevent dust or insects entering the sheet. The breather tape must be covered with and end cap sealed to the top end of the sheet with a small silicone bead.